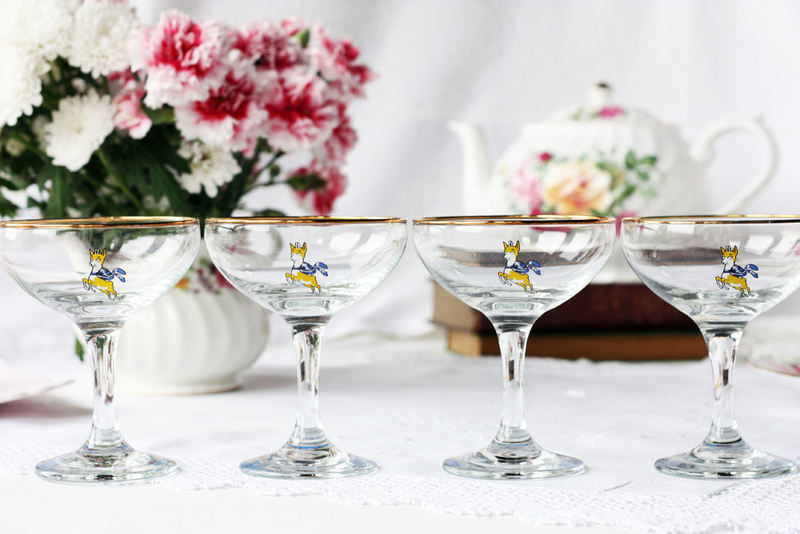 Babycham decadence: vintage drinks time! 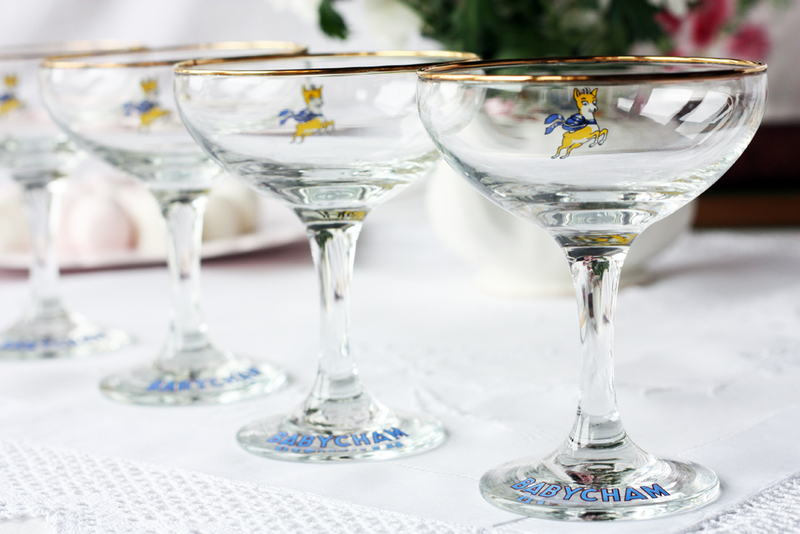 During a recent vintage shopping trip, I was pleased to find a set of four Babycham glasses. I’d spotted some of these online a few weeks before and they had reminded me of how much I love their retro feel with the cute trademark deer on the inside of the glasses. 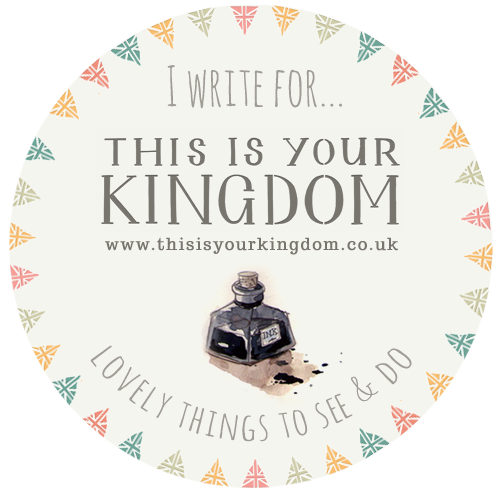 I instantly snapped them up and the next day took some photos of them for Etsy. As I was sorting through the photos, I realised that I liked them too much to sell (for the time being at least). So instead of putting them on Etsy, I thought I’d share them with you here. 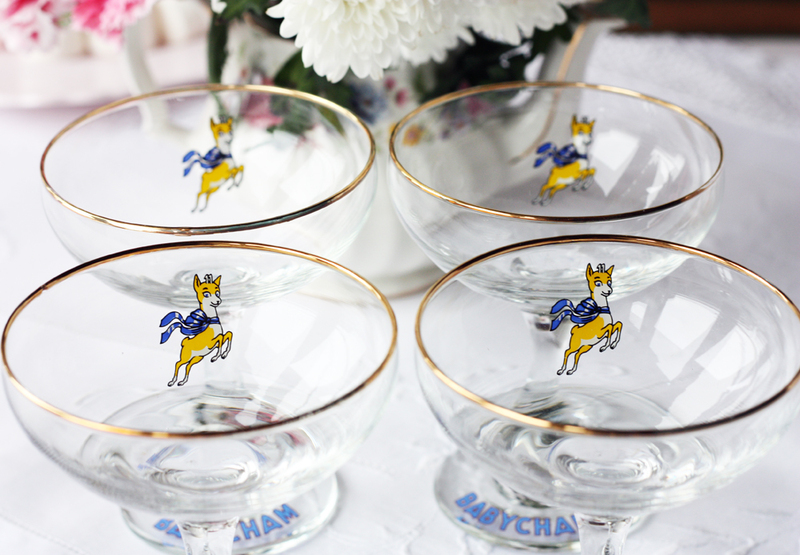 Babycham was launched in the UK in 1953, although it had been sold locally in the Bristol area since the 1940s. The Showering brothers, who invented Babycham in their factory in Shepton Mallet, Somerset, had been trialling it in their local area to see the response. The drink is made from pears and was originally known as Champagne de la Poire, and for some reason Champagne de la Pomme (so maybe it was also made from apples at some point too). It was bottled in standard size bottles at first but when smaller ‘baby’ bottles were used, it became known as ‘Baby Champ’ which turned into Babycham. I was interested to read that the drink was marketed as an alternative drink for women, at a time when the main choices available were gin, cream sherry and stout. 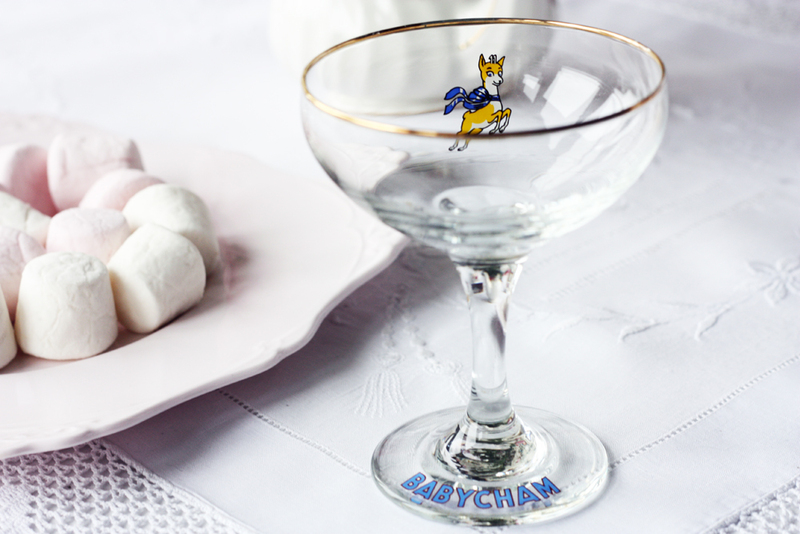 The Babycham history pages are an interesting read as they chart the rise in popularity of the drink, its ‘ups and downs’ in the 1980s and 1990s with various rebranding campaigns and the recent resurge in interest due to the popularity in all things retro. 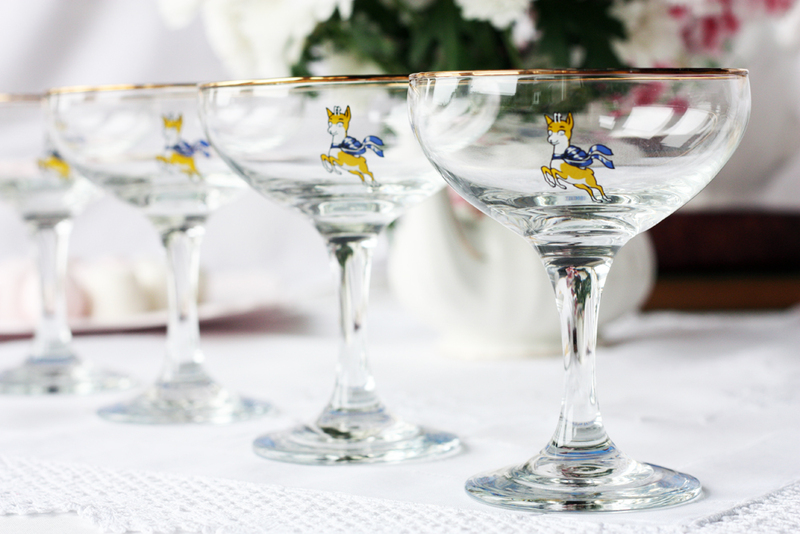 I’m looking forward to using my glasses in the forthcoming festive season, possibly for Babycham (as I’m not sure I’ve ever tasted it) and maybe even for some champagne. I’d love to hear if you have any festive drink traditions for the holiday season.